The Sigma 18-200mm f/3.5-6.3 DC Macro OS HSM lens is a good choice for those who don’t want the hassle of changing lenses all the time, or perhaps if you’re travelling and attempting to keep your kit bag light. It’s also good for those who want a telephoto zoom lens for nature and wildlife without having to spend much more money. Time was that these superzoom lenses were huge and impractical, but this retracts down to a useful small size that you shouldn’t mind carrying around with you all day. Of course, you get a trade-off for having all of these focal lengths in one, and that comes in the shape of not having a wide aperture across all focal lengths. Still, it’s possible to get some shallow depth of field effects, and the lens also works well to produce some macro images. In other words it’s a great all rounder that can be recommended, especially to beginners who are just getting to grips with the idea of having interchangeable lens cameras. Those who have a few different lenses may also want to consider it for convenience too, but keeping a few primes for those times that you need a wide aperture. 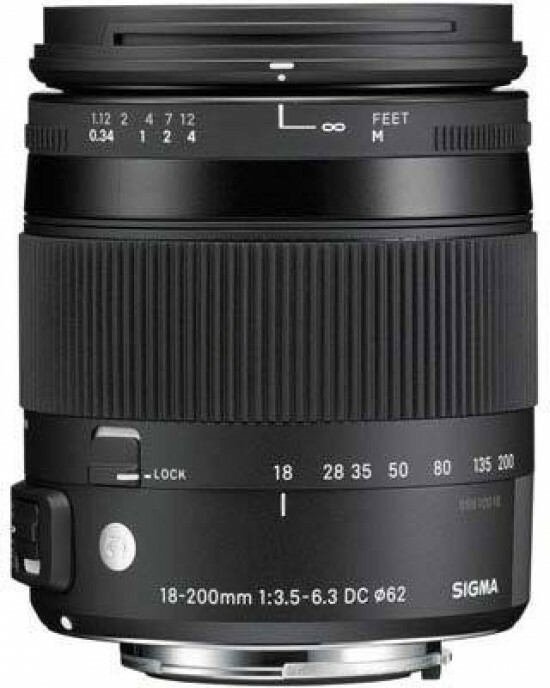 Overall, image quality is very good, with the Sigma 18-200mm f/3.5-6.3 DC Macro OS HSM able to produce very sharp images. There’s some distortion at the wide angle end of the lens, but that’s to be expected if you’re trying to shoot relatively closely and can be compensated for quite easily by the way you shoot. Vignetting is quite obvious if you shoot something like a white wall, but, for more normal subjects, it’s not particularly noticeable the majority of the time. This lens is also available at a very reasonable price, especially when you consider how flexible it is. Although it still represents a compromise, it’s a very good one that should suit travelling photographers, as well as amateur wildlife enthusiasts.